National governments have responsibility for national transport infrastructure, including roads, railways, ports and airports, but they also provide the regulatory and governance structure within which regional and local governments, private operators and transport users operate. While there is a considerable literature on infrastructure development for the different modes, there has been relatively little research and literature on the ways in which national governments carry out their responsibilities for nation-wide regulation and governance of transport. 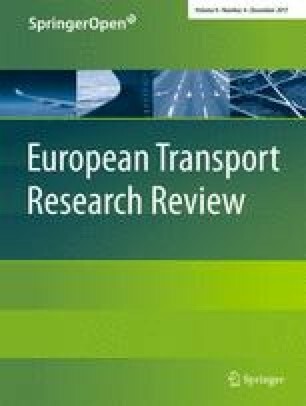 As a contribution to filling this gap, the World Conference on Transport Research Society established a Special Interest Group on National and Regional Transport Planning and Policy in 2014 (https://www.wctrs-society.com/special-interest-groups/topic-area-g-transport-planning-and-policy/). Its primary objective is to promote research relating to regional and national transport planning policy to improve the economic, environmental and social environment globally. The topics the Group plans to explore include the history of national transport planning and policy processes and implementation, path dependencies in national and regional transport planning and policy processes, and an assessment of regional and national transport planning and policy processes. As a first step, the Group issued a call for papers for the 14th World Conference on Transport Research in Shanghai in 2016, with a specific invitation to submit historical reviews of national transport policy development in different countries. Authors of these reviews were invited to consider, in particular: the history of national and regional transport master plans; the procedures for developing national and regional masterplans are made; the institutions involved; the role of public participation; and the frequency of any updates. Authors were also asked to consider the objectives of the master plans, the indicators used to monitor the success of the masterplans, the policy measures and packages considered, and the intentions for implementation and monitoring. It was envisaged that, in due course, the Group would be able to collate a compendium of such reviews, to a common structure, thus facilitating international comparisons and transfers of good practice. This topical collection includes six shortlisted papers from the Shanghai conference. One, considering France, adopts a traditional approach in considering policies on road and rail development. Four offer historical reviews of national policy in Austria, Germany, Hungary and Japan following the suggested structure in the call for papers. The sixth looks, across six countries, at national policy in support of urban transport. Zembri-Mary  reviews the development in France of competition in rail infrastructure investment, the privatisation of motorway companies and the growth of public-private partnerships, and assesses the impacts of these on project evaluation. She identifies an increased emphasis on public consultation, environmental assessment and risk management, and suggests that these have helped reduce most project risks. However, she notes that risks remain from optimism bias, and that the wider socio-economic appraisals now conducted still fail to consider the distribution of risks among project partners and the wider public. She advocates the adoption of clear objectives for sustainable mobility, drawing on the Paris Agreement on Climate Change of 2015, and the wider use of multi-criteria appraisal. The four papers reviewing national policy chart very different approaches in the countries involved, with changes in political control and in pan-national policy the main determinants of change. Thus Austria  produced its first Transport Master Plan in 1968, followed by revisions every decade from 1991, with different orientations depending on the parties in government. By analysing the development of the transport master plans over time it could be shown clearly that the transport policy became more and more comprehensive over time. Germany  introduced the concept of sharing of tasks between the transport modes in 1953, but it was not until reunification that full Transport Master Plans were developed, again on broadly a 10 year cycle, but very much influenced by emerging European Union policy. Oszter  refers to an intermodal transport policy from 1848 in Hungary, but identifies the Transport Policy Concept of 1968 as the commencement of national transport policy thinking in the country, and as a document which still influences current policy. Subsequent policy documents were produced in 1996 and 2002, with the most recent 2008 Transport Policy influenced by Hungary’s then recent accession to the European Union. Shibayama  traces the development of national land use policies in Japan, which included specifications for new transport alignments, every decade from 1950, but notes that the first national transport policy document, the Basic Act on Transport Policy, did not appear until 2013. Emberger assesses the sequence of Austrian Transport Master Plans against an ideal decision making process based on the earlier Decision Makers’ Guidebook . He notes that the earliest documents confused objectives with strategy and policy measures, and that initially the focus was on transport efficiency and economic development. From 1998 transport nationally was also seen as a means of improving safety and the environment and meeting social needs. However, these objectives are rarely reflected in quantifiable targets, and there is still little focus on monitoring performance against them. Fichert observes similar trends in Germany, with a tendency to confuse objectives and strategy, but with the focus on sustainable development in the 2000 Transport Master Plan being replaced currently by a greater emphasis on competitiveness. Oszter shows that Hungary took a similar path to Austria, in introducing objectives of environment, safety and economic development from 1996, but comments that the data available to monitor performance is limited. Shibayama list objectives of accessibility, social and economic impact, environment and safety as the basis for the Japanese 2013 basic act, with 93 quantifiable performance indicators, each with a target for achievement by 2020. However, he comments that these indicators are typically operational and mode-specific, rather than focusing on underlying objectives. Not surprisingly, the principal policy measures considered in all four national plans relate to infrastructure provision and management. In many cases the plans for road and rail infrastructure are considered separately, and Shibayama notes that there is no plan for Japan’s conventional rail network, which has made responding to natural disasters particularly challenging. Fichert and Oszter both suggest, as Zembri-Mary has, that infrastructure planning often suffers from optimism bias and under-achievement against targets. More recently most national plans have included a wider range of measures. Emberger and Shibayama highlight the introduction of travel demand management in Austria and Japan from 2013. Shibayama also mentions the development of measures focused specifically on freight access, carbon reduction and safety. Oszter indicates that from 1996 Hungary’s national transport policy already reflected the roles of land use planning and intelligent transport systems. In a link with the final papers in this collection, he also outlines the national policy on urban transport, which has facilitated the development of Budapest’s Sustainable Urban Mobility Plan (SUMP). May et al. look in more detail at national policy in support of the development of SUMPs. They note that, while the European Commission has produced guidance on SUMPs , it is national governments which provide the context within which cities develop such plans. Based on a review of the literature, they identify 20 criteria which determine the effectiveness of a national framework for SUMP development. They then assess current practice in England, France, Germany, the Netherlands, Romania and Spain. Of the 20 criteria, they identify ten which are poorly observed in all their six case studies, including coordination at national and local levels, providing coherent financing, avoiding infrastructure bias and encouraging local monitoring and national audit of SUMPs.